This package contains useful gaming aids for the award-winning Mutant: Year Zero roleplaying game. 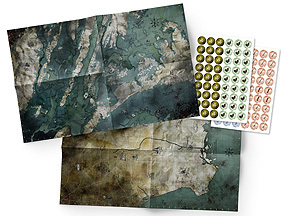 Two large full-colour, double-sided Zone maps, depicting four major metropolitan areas in the world after the big apocalypse. Format: 720x465mm.